From the ground floor all the way up, our five-story community center bustles with activity as more than 150 families engage in programs designed around their needs and interests. Every profession and field of study calls for a range of computer knowledge and productivity, like typing, familiarity with programs, emailing, and more. We equip our program participants with these fundamental IT skills to aid in their study and to open doors to employment opportunities. 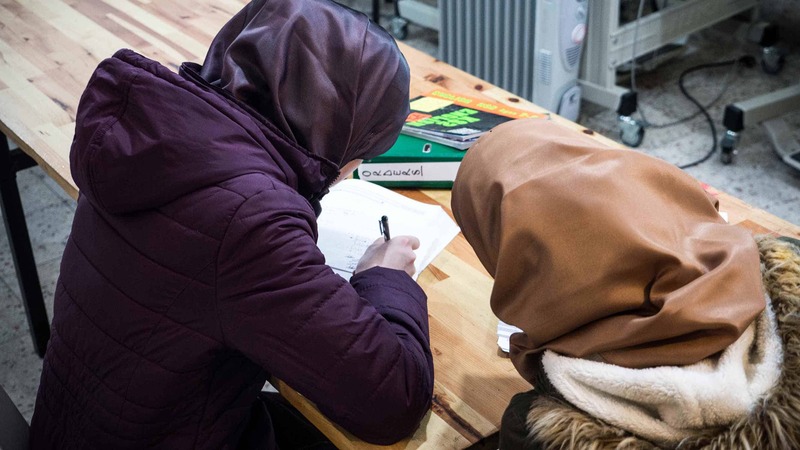 Programs like Women’s Computer Literacy, Web Development for Young Adults, and Youth Computer Class are led by Syrian volunteers working in the field. Conversation Exchange sessions provide a relaxed social setting led by native speakers in Turkish and English to facilitate the language fluency needed to succeed in daily interactions in Turkey and beyond. 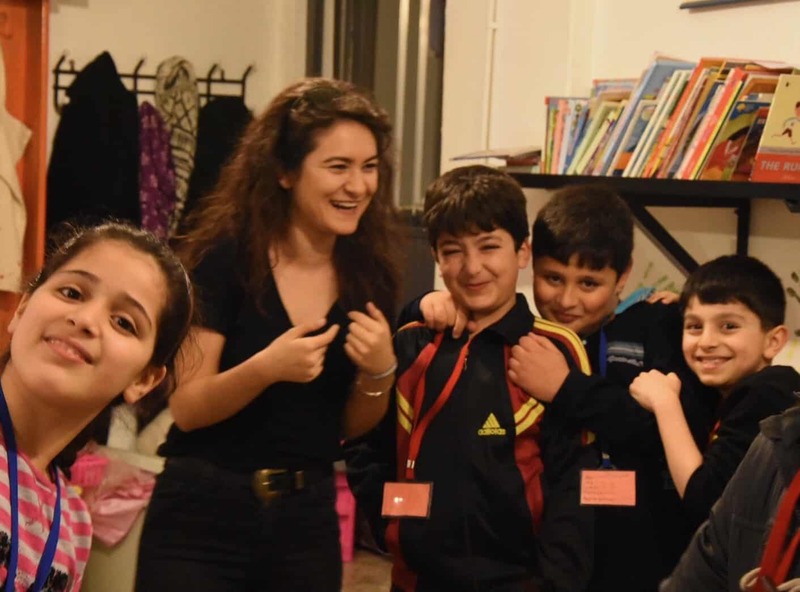 Apart from Language Exchange Socials for Adults, we employ tools like drama and conduct a majority of children’s programs in Turkish or English as a form of immersion and transfer of language skills. 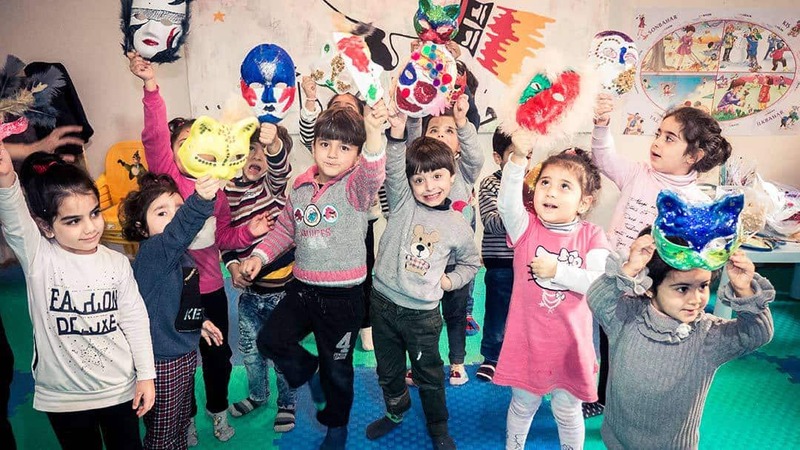 While we recognize the need for participants to acquire Turkish for integration in schools and the community, it is important that young children, now displaced from their homes, do not lose key elements of their mother tongue and culture. 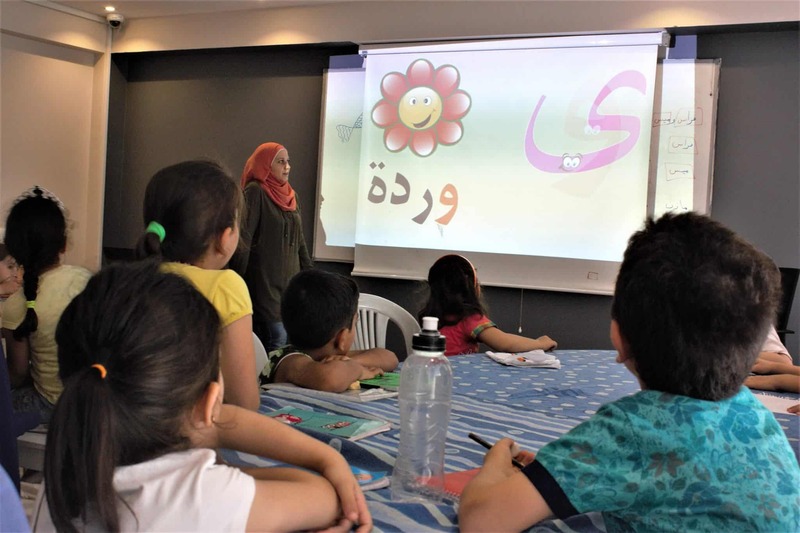 The kid’s Arabic program is led by mothers from the community who oversee the participant’s growth in their native tongue. 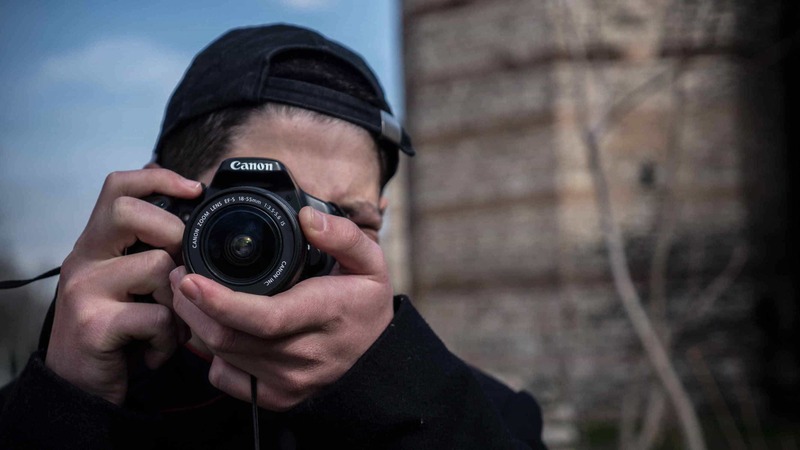 Run by three volunteers with backgrounds in photography and videography, 12 students gain the technical skills to shoot and edit their own short films. The finished shorts will be screened in Turkey and abroad, to allow participants the opportunity to self-represent. The intended outcome of the program is youth development through the building of confidence, teamwork, communication, responsibility, and respect for one another. Oftentimes it is more difficult to serve the young adult demographic as their schedules, busy with balancing work and school, make it more difficult to attend regular activities at the center. Teens Club was started in the summer of 2017 and is scheduled to accommodate their availability. Teens Club provides a valuable opportunity for youth to come into a shared space, meet each other, and engage in activities to develop bonds, explore new perspectives, and—most importantly—have fun! Psycho-Social Support (PSS) helps individuals and communities to heal psychological wounds and rebuild social structures after experiencing trauma. At this time, SPI offers PSS activities through external partnerships with organizations that specialize in providing programs facilitated by clinical psychologists, with a focus on children. 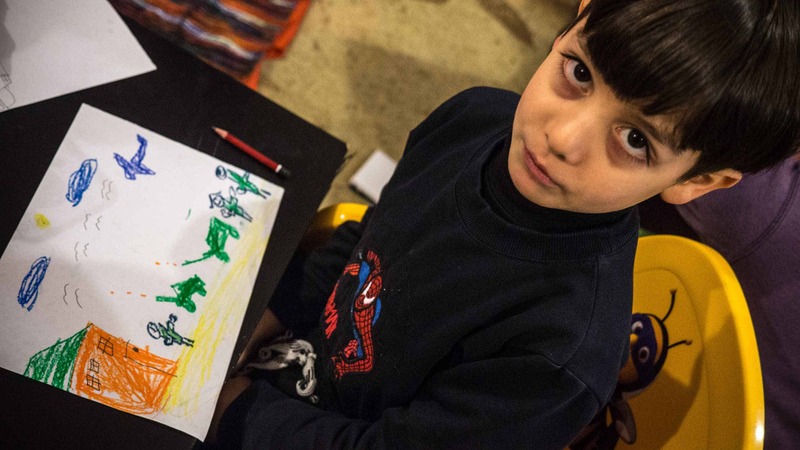 The program is conducted through creative, expressive activities as well as individual support for referred cases. 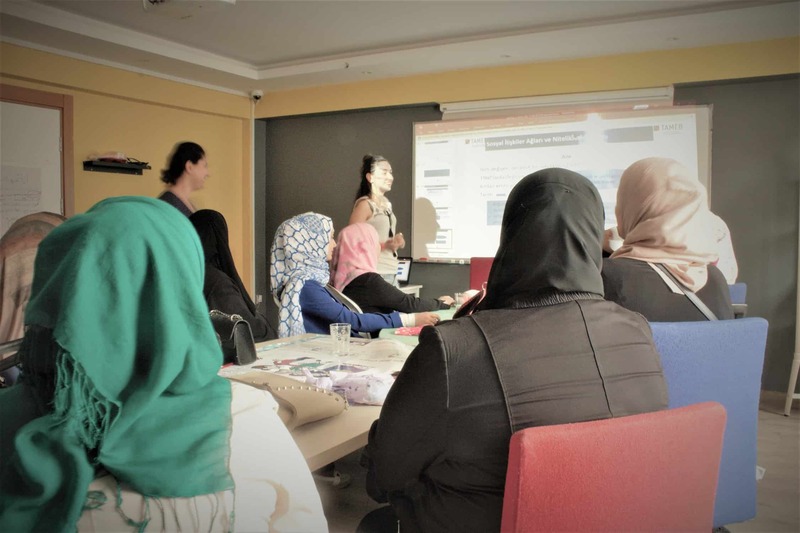 Homework Club is a weekly program led by Turkish-speaking volunteers who work with students to build a greater understanding of current course materials and as a result, integrate more seamlessly into the Turkish education system. The club invites elementary and middle-grade students to join in group and one-on-one tutoring sessions in language, math, science, and other core subjects. The program helps students, many of who have experienced gaps in their education, prepare themselves to succeed in their present and future academic endeavors. In addition to the programs offered for youth at the center—we recognize the need for children to explore the world around them and have new experiences. 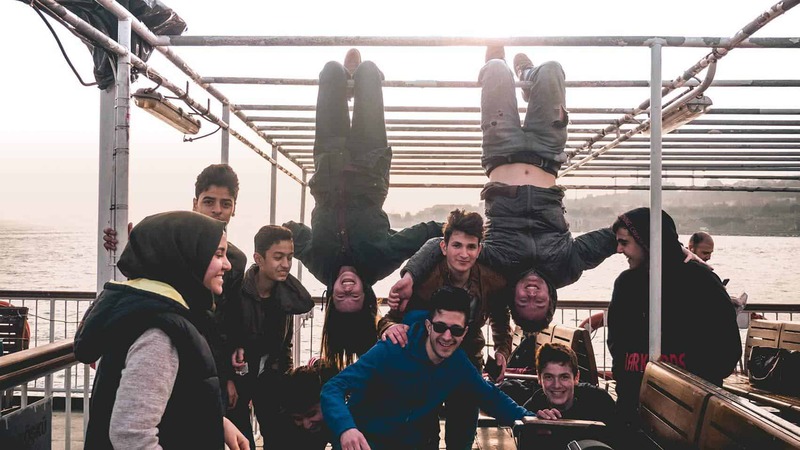 Throughout the year we organize excursions like days spent at the aquarium, museums, bowling, ice skating and the Prince’s Islands off the coast of Istanbul. 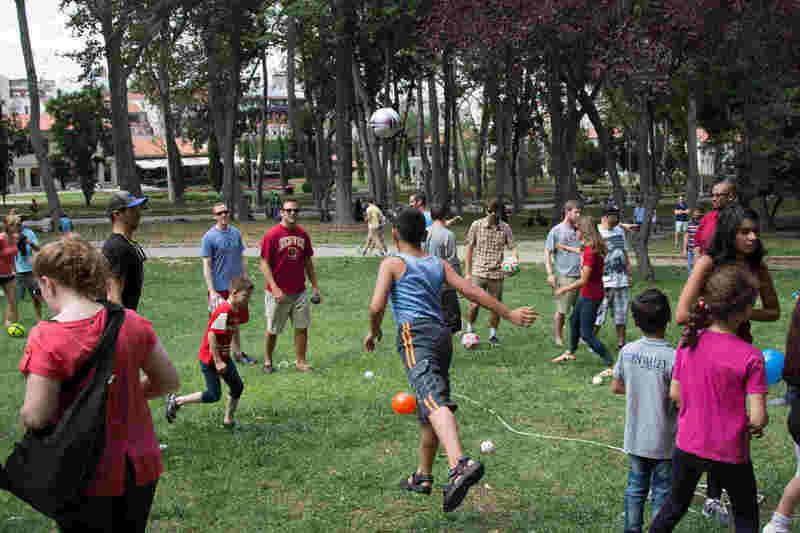 Throughout the year, volunteers lead a range of organized activities like football, capoeira, and mixed field activities in the promotion of team-building, healthy habits, and physical fitness. We rent the local football field three times per week to utilize an outdoor space for football matches and mixed field games for different age groups. 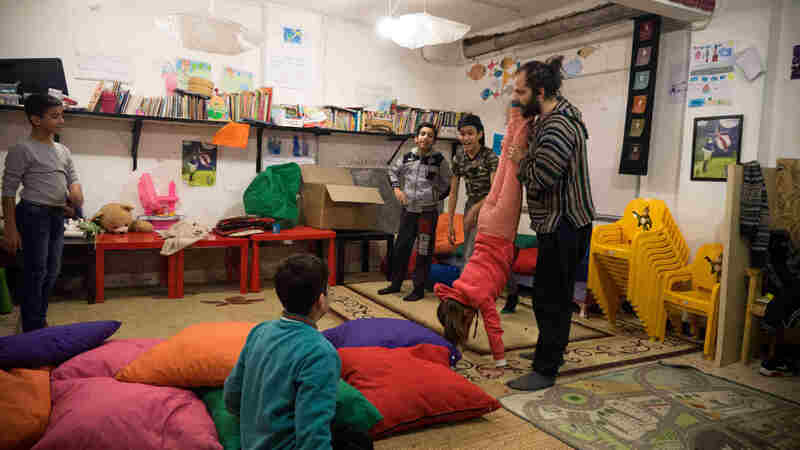 Capoeira is provided in partnership with the organization Capoeira4Refugees which brings fun, exercise and release to children and youth. Capoeira is a Brazilian art form which combines dance, rhythm, and movement as a form of dialogue between players – a conversation through movement which can take on many shades of meaning. It is a program much loved by the children who participate. 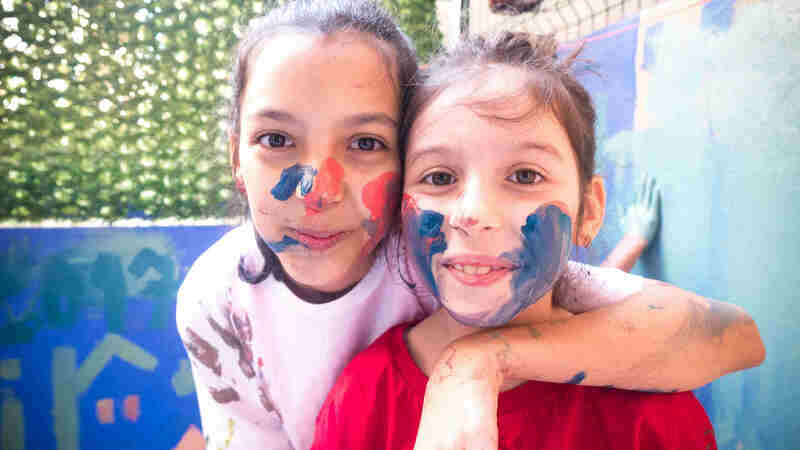 Kids’ Fun Time is a session reserved each week and organized by rotating leaders who plan activities unique to our program schedule like dance, cooking, arts and crafts, and more. This activity is a group of 20-30 kids who come to enjoy their time while learning. The activity is run by 3 awesome SPI volunteers. 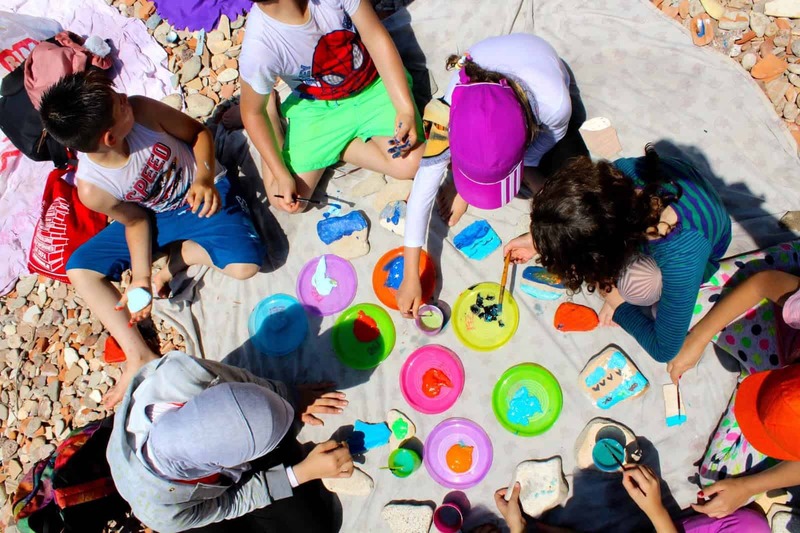 Our aim from this activity is to bring kids together in a healthy and friendly environment where they can enjoy, connect with and mingle with other Syrian and kids from the local community. 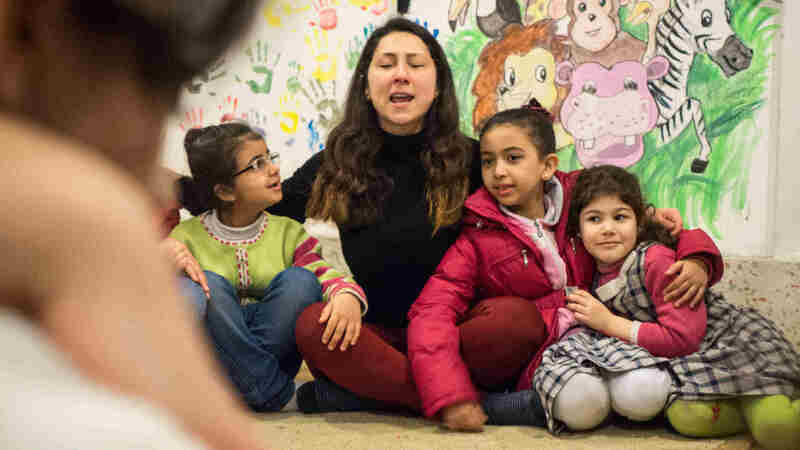 Founded by students at Vassar College in New York, Conversations Unbound connects native Arabic-speaking tutors from displaced backgrounds with American university students who are studying the Arabic language. 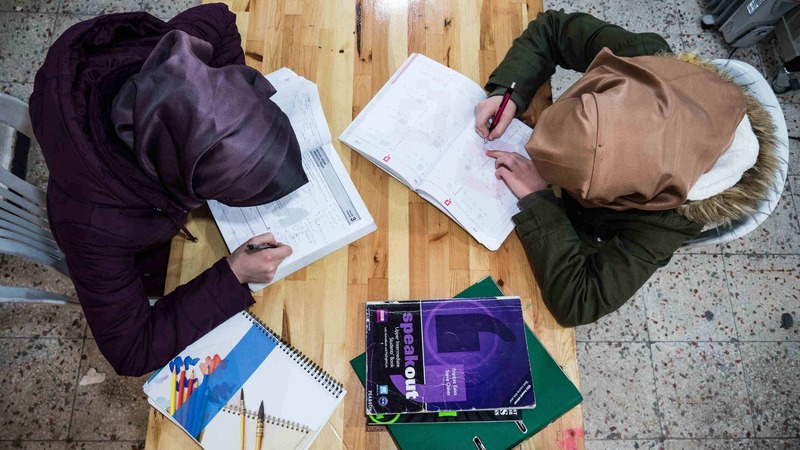 The tutors and students connect for online conversation sessions throughout the semester which help the students develop their Arabic speaking skills, engage in cultural exchange, and provide the tutors with supplemental income. The kids learn about the properties of different liquids in our weekly science club through scientific experiments like the lava lamp and the colour changing milk. 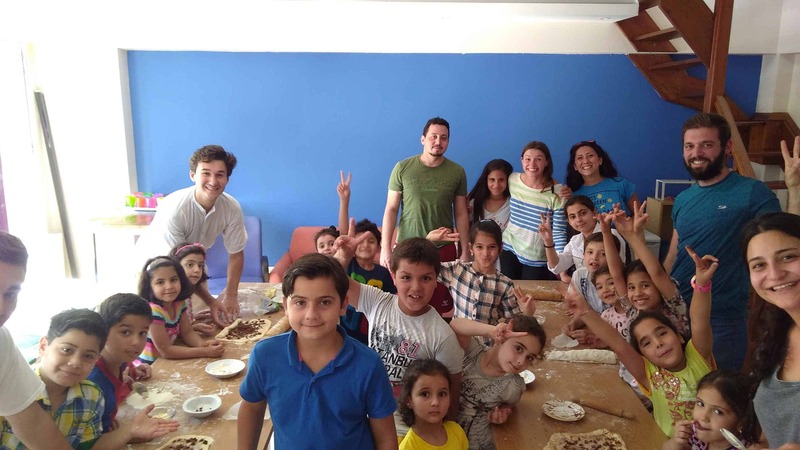 Sponsored by the TAMEB(German-Turkish Partnership for Vocational Skills Development) project, SPI hosts seminars and workshops regularly that discuss with and educate our community about things related to life in Turkey and ways to integrate in the local Istanbul society. Our awesome volunteers come from all around the world, most of them are either native or fluent English speakers. 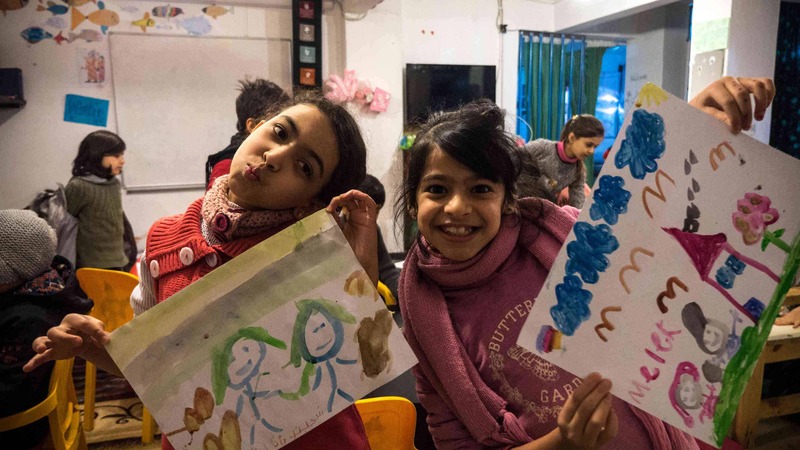 We try to arrange English language clubs periodically for our refugee children to get some help with basic English or if they have a home work from school, or sometimes just to have a general exciting conversations. This will help them develop their English language skill and thus to add one more very important asset for their bright future! Who said Sundays are only for vacations and sleeping at home? 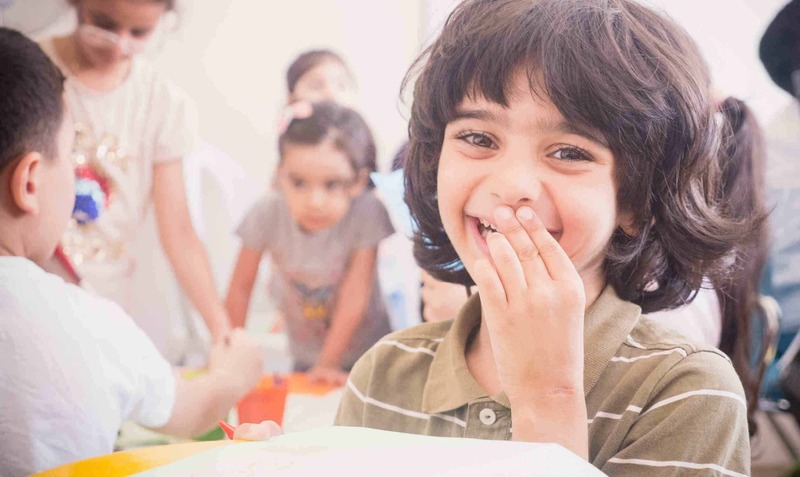 Here at our community center, every Sunday afternoon we open our doors to welcome children from the community to our math, Turkish literacy and homework clubs. These clubs are coordinated by our STeam (Sunday Team) and a group of dedicated volunteers.